How goes it? I'm alright a bit tired seeing as I just couldn't fall asleep last night and then when I finally did drift off to sleep I woke up earlier than I was expecting too. Such is life right? Lol. This evening I have the week three 30 Days Of Colour prompt to share with you. Let's see how these turned out! For whatever reason when I saw this prompt I kind of stumbled onto what I wanted to do. Then I remembered how much I love seeing beaches at night and how calming they are to be. So that's what I decided to do. I'm not sure that I translated that well onto the nail, though. 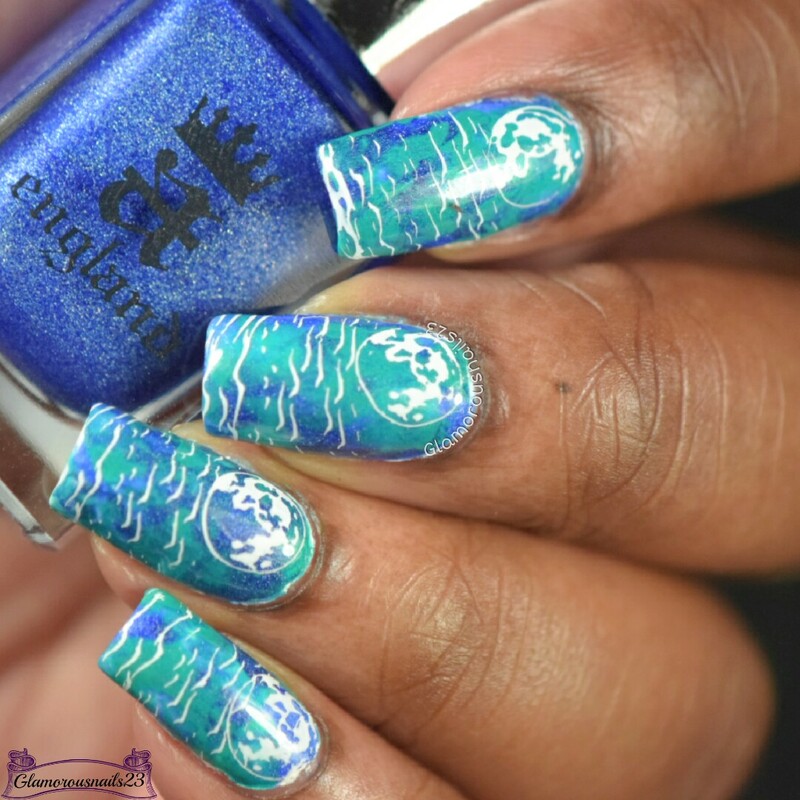 For my base, I went with a smoosh mani to represent the different colours that can sometimes be seen in various oceans at night. Although I feel like I should have gone in with more of the blue than the green but oh well. 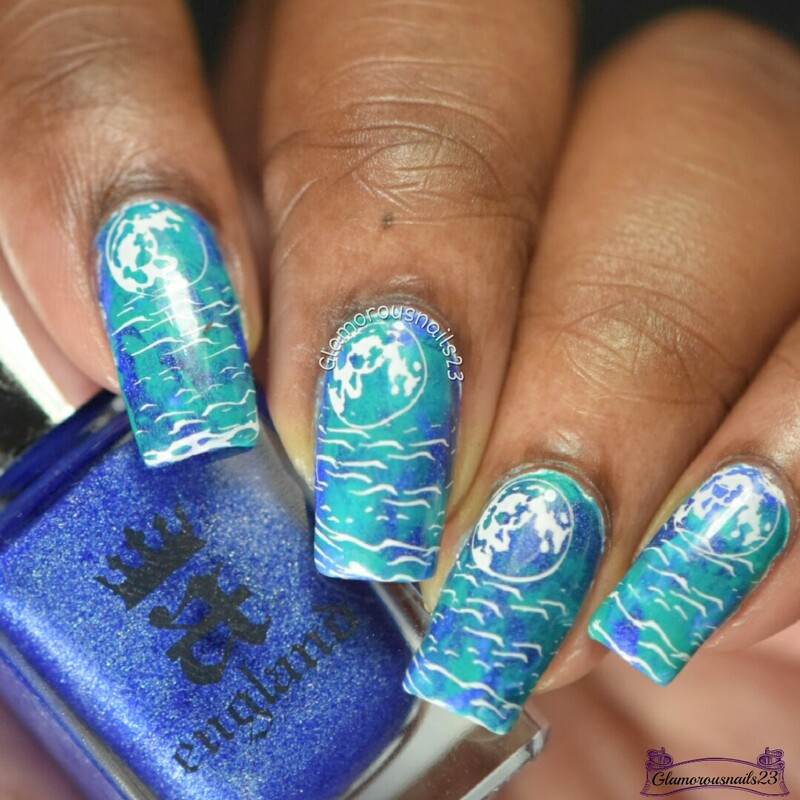 Then went it with some stamping for the waves and the moon! I totally see Calm. It's earthy and nice. Totally agree! Hearing the waves, seeing the moon over an expanse of ocean - pure bliss and calmness! 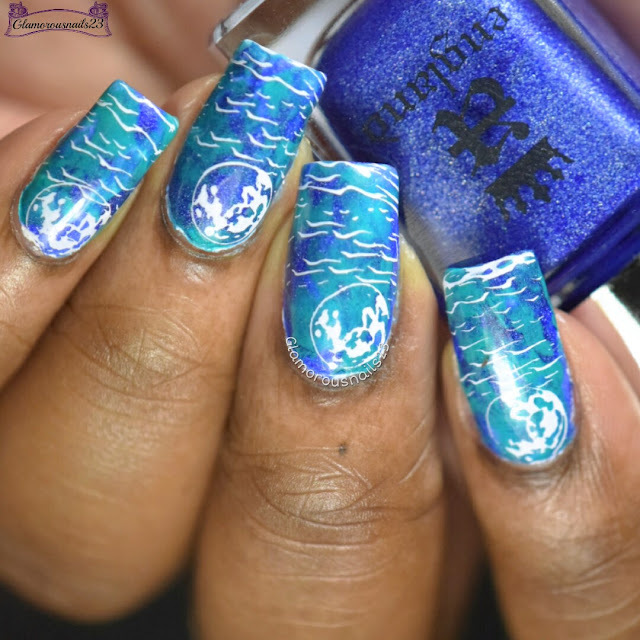 <3 Love the mani & the imagery it creates! 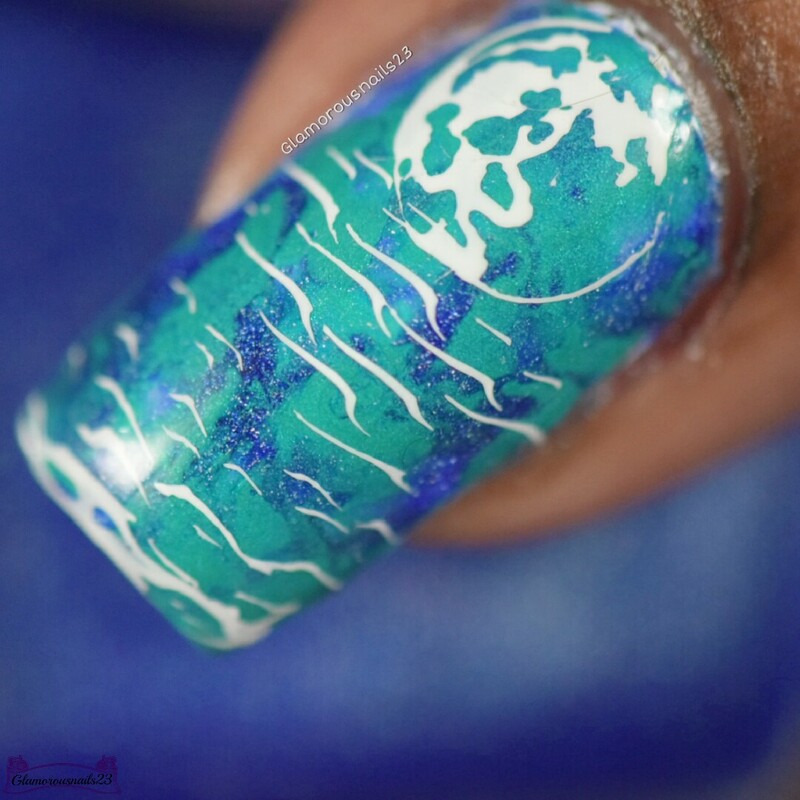 This is definitely a calming mani! I love it! There's nothing better! Thanks so much Kristi!